They’re putting up the stands. 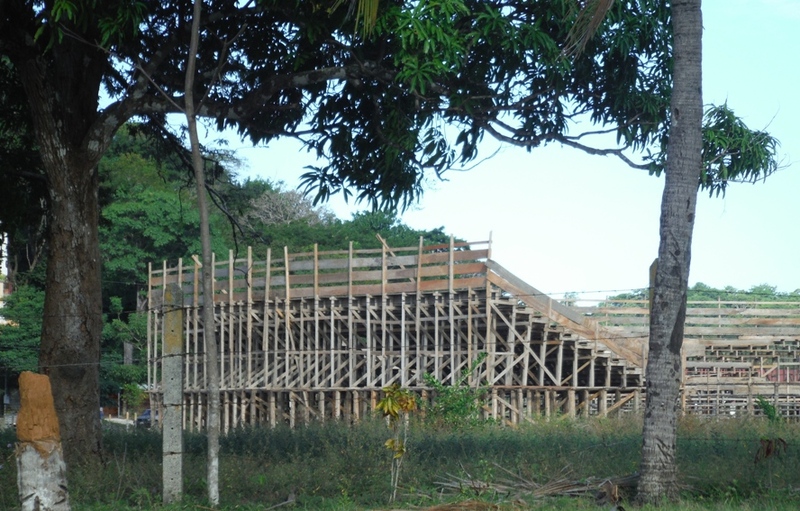 Getting ready for the holidays in Playa Samara Beach means building the arena and bleachers for the traditional Corrido de Toros. This temporary arena is built fresh every year. 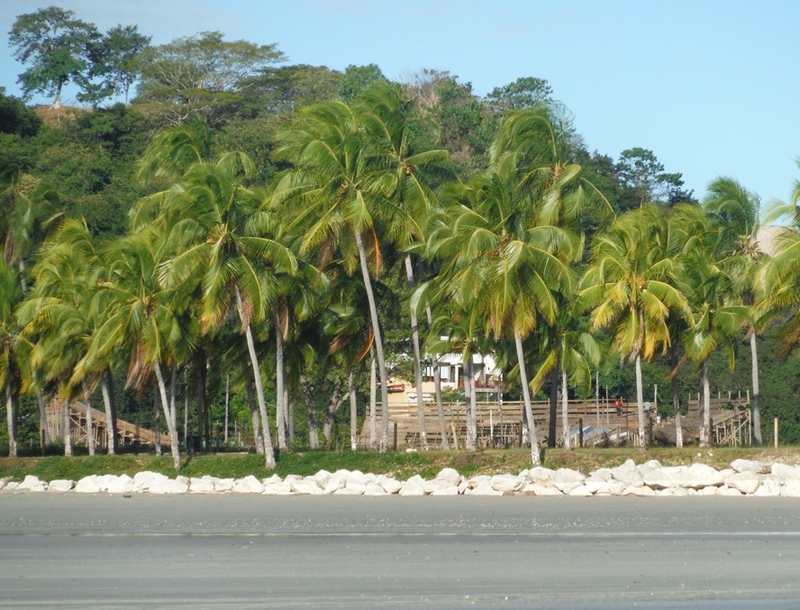 Ticos are a gentle people so they don’t so much fight the bulls as annoy them. Young toughs get into the ring and run around poking at the bulls to entice the beast to chase them so they are forced to climb the fence before being gored in the hiney. It’s somewhat entertaining to northerners who’ve seen an actual rodeo but it’s very popular with locals. Actually, my visiting nephew said it was the most fun he’s ever had for a buck. The carnival rides and eateries fill out the festivities which begin each day with a cannon shot and end the week with fireworks.